Ishshah’s Story is pleased to feature our first guest contributor post! 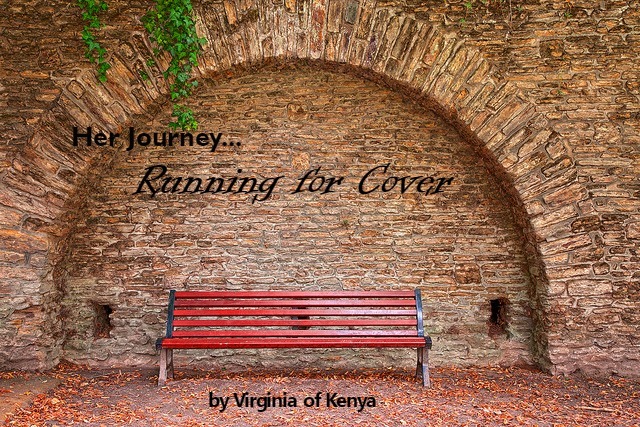 Author – Virginia of Nairobi, Kenya. I sat on a front seat at the Pastor’s section, a bit nervous because the person I sought to have audience with had been ignoring me for the last fifteen minutes or so. You see, in this church that I had been a member of for the last five years, you could sit and have a little chat with the Pastors after Sunday service. And they would be very keen to see you, especially if you had been ascending the service ladder they had put in place. I had pursued God – or is it, served God – relentlessly over these years, and naturally also grown in responsibility and in my assumption in relationships in this ‘church’. In my fifteen-minute wait, I contemplated the best way to communicate my intentions to this particular Pastor because I valued my relationship with her. I had followed due process and given in my resignation letters to two of the heads of departments that I was serving in, and it was not received badly. I pondered over a sermon that this lady Pastor had given the previous day in a ladies meeting. She had preached very passionately on following the will of God and leaving our comfort zones to be in the place God wanted us in per time. How timely a message can be, I had thought to myself. Finally, the Pastor sat down and gave me an ear. “You are talking about leaving?” she cut me short. Before I could answer she added, “That is your conviction not mine and if you go and hit rock you have yourself to blame.” That was it. I left…tail between my legs, to the parking lot where my husband was waiting. In my opinion this has been used to manipulate saints from making changes that will cost such a group either numbers, money or skill. The preaching of this covering message is usually shared with testimonies of people who left such groups and ended up divorced, losing their jobs or losing a loved one. With such examples, the saints will dare not question those in authority or make a move toward leaving that group. Some will insist that they have observed brother so and so’s life become worse. There are those brave ones that leave and are genuinely pursuing God. But when life doesn’t turn out as they envisioned, they revert to other groups and subject themselves to a leader in their search of spiritual covering. And the cycle continues. Like those who make dire observations, I too have made an observation. I observed my life in that group and the truth of the matter is that I went through the same trials that each saint will face. I left the group, and the challenges are the same – anxious moments, bad decisions here and there, good ones, hopeful days, sometimes sad nights. But all in all, I see a faithful God. One who will not rely on human beings who are by nature selfish, to judge what you should receive from Him. The saints require a time of detoxing from an abusive environment and just like medicine, there are reactions. In one of the reactions, an individual can see how deceived they were, how much time and effort they wasted, and become offended. On the other hand, one sees a loving God who stayed on with them, guarding them against worse error, and he or she opens themselves to God’s love and amazing grace. I choose Him who is faithful. I choose Love and Grace. When offence kicks in, we live in the past – regrets, anger, self-pity, et al. We cannot receive or perceive the love of God. This is paralyzing and we cannot engage positively with this life. When we see through the lens of God’s love, we engage life with love and grace, recover broken relationships or forge new ones. We live without the burden of guilt and blame. We become lively stones in the temple. *name changed to protect person’s identity. Thank you for sharing your journey Virginia. I liked your comparison to detoxing. In my case this took many years but it was worth every single second to know Him more and more. I too choose Him Who is faithful.